Activision is claiming that Sledgehammer Games' upcoming Call of Duty game will broaden the audience for the series. 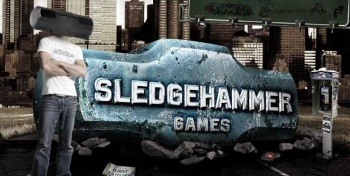 Sledgehammer was founded by the former heads of Visceral Games - creators of Dante's Inferno and Dead Space - and is the latest studio tasked with working on the Call of Duty series, and according to Activision COO Thomas Tippi, its upcoming title will get a lot more people interested in the series. "Today, we have three studios working on Call of Duty ... most recently, we've added Sledgehammer in the Bay Area. We haven't yet announced the content of their game, but it's going to be an innovative take that will further broaden the audience for Call of Duty." Tippi also reiterated that Infinity Ward was still central to the Call of Duty franchise, despite the recent wave of resignations and said that "the change of guard will provide an opportunity for some of the rising stars to put their own stamp on the Call of Duty franchise."